The film takes it’s title from Walt Whitman’s The Untold Want (complete above), and the voyager of the title is played by Bette Davis. The nature of her voyage is perhaps less obvious. There are a number of journeys throughout the film, including much real travel by ship, but there is also her mental journey from a psychiatric hospital to a confident young woman, and at least one other possibility of a societal nature; Charlotte Vale (Bette Davis) represents the wave of independent young women not defining themselves in relation to a man. One disappointing aspect of the film is that Charlotte’s happiness isn’t due to her discovering her independence or ability to control her own destiny (pulling away from both a controlling mother and various suitors), but results from a lowering of her expectations; expectations that sit well within traditional norms. Imagine all this in the context of the studios just beginning to relinquish their stranglehold on stars and productions, and the reality of Bette Davis exploring the power of her own stardom at this point. She is said to have had significant input into the decisions regarding her co-stars for the production, and even the Director, Irvine Rapper, was selected to ensure she would be happy. 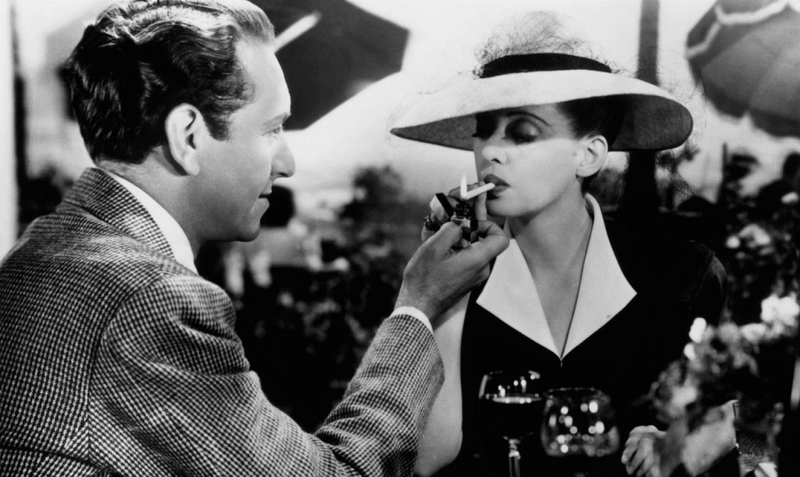 Now,Voyager is an interesting document of social change in the early ’40s, and also provides a fascinating insight into how actors like Bette Davis challenged the system. N.B. This is absolutely not to be confused with the punctuationless and bizarre Now Voyager starring Barry Gibb of BeeGees fame. A film fan! We must talk.